Game of Thrones star, Maisie Williams, has developed a new online tool to help people gain exposure for their creative work. 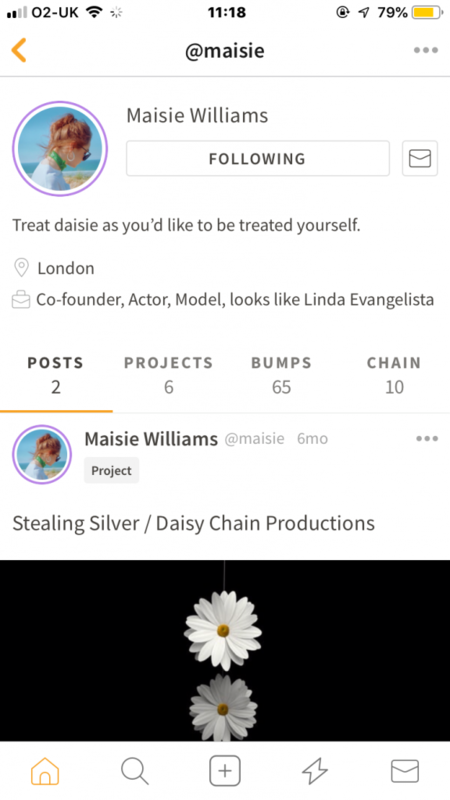 daisie, which was designed by Maisie and her colleague Dom Santry, aims to make it easier for creatives to connect and collaborate with one another online. 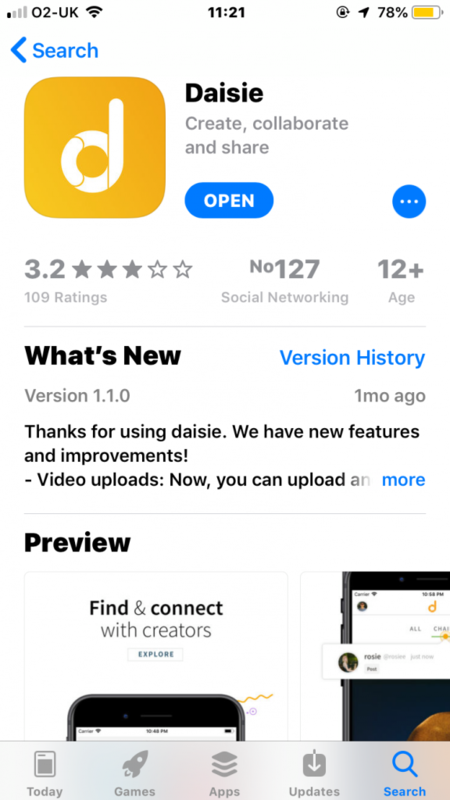 According to the website, daisie Version 1.1.0 is only compatible with iPhone devices, there is an email list on the website you can sign up to for updates about the Android app. The sign up process is simple, enter your email and password along with a username and (optional) profile photo. Personalisation options come at the page above, where you can choose one or all of the industries you are interested in working in. 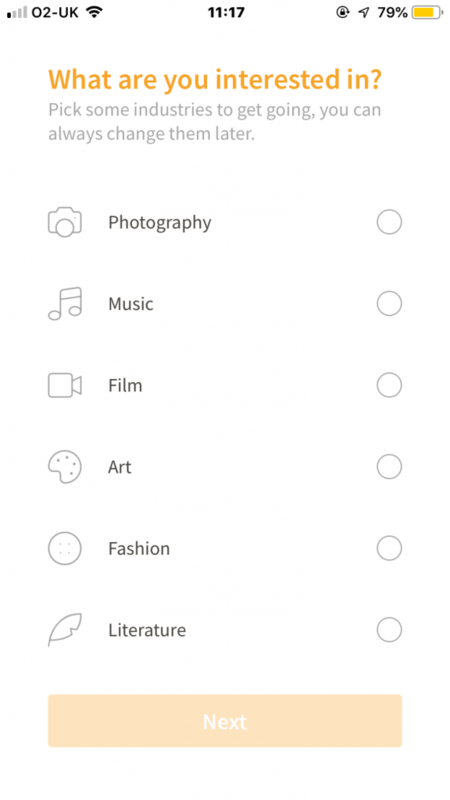 Having chosen a few, the idea is that your preferences are recorded and this alters the algorithm of the app as per your interests, so you receive more posts tagged in the industries you choose. The app gives the impression it is for a young professional audience, ranging from 18-34 years old; people who are looking to get started in the industry, rather than established creatives. It is also accessible to an older audience who are looking to start a new venture into arts and media because it is really easy to navigate and allows you to broaden your goals by choosing multiple interests. Similar to the Instagram and Twitter apps, daisie boasts a minimalistic design, making it simple for first-time users to find their way around the tool. The format consists of feed, search, post, notification and message buttons. Much like Instagram, the user uploads a bio, can follow other users and explore new pages via the search bar a the bottom. A real difference daisie has from Instagram is the fact it is primarily a business space for people to showcase their work and build an online portfolio as well as connect with contacts. Not too far removed from Instagram, the space acts as a business model for connectivity. However, if an Instagram user switches to a business account, the features are nearly identical. daisie allows you to distinguish generic posts from project posts. This will be useful for finding people to collaborate with and showcasing work. It also allows you to follow people as well as add them to your ‘chain’, which I believe is equivalent to the difference between following accounts and connecting with users. Overall, I think it’s an effective app for networking and publishing your services to likeminded individuals. 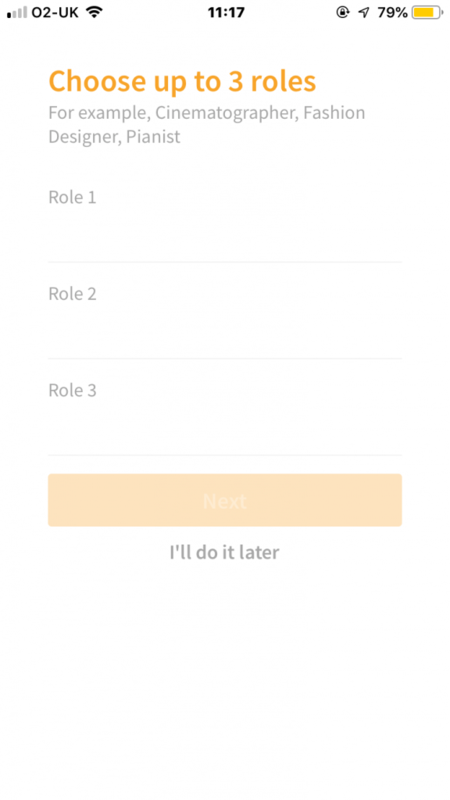 It might be improved with more skills options, and adding an Android version of the app will make it accessible to more creatives. You can visit the website and download the app here.